Computer Science Department, Rutgers University . Experimental Computer Scientist focused on Algorithms and Systems for Graph Mining, Relational Learning, Visualization, and Sense Making of Massive Data Sets. · Computer Science President's Post Doctoral Fellow - University of California, Santa Barbara. · Ph.D. University of California, San Diego. Supervised by Professor Stanley Gill Williamson. · M.S. University of California, Santa Barbara. Supervised by Professor John Bruno. Director of the MSCS Program and Associate Professor 2015 - present. Research Professor 2006 – present; Research Associate 2002-present. Supervised 1 Ph.D. Dissertation and 7 Master Theses. Visiting Professor and Lecturer, 1986-1987.
o Senior Research Scientist, Ask.com, 2004 – 2007.
o Senior Member of Technical Staff, AT&T Labs, and Bell Labs, 1995 - 2002.
o Program Committee Member of the 2016 IEEE International Conference on Big Data, Dec. 2016. o Leader of the Universal Information Graphs Project at DyDAn (A newly founded multi million DHS center of excellence at Rutgers University). Conceived and designed the project. Developed new algorithms for semi-external data partitioning. Identified, hired and supervised key personal to build the overall hardware and software infrastructure. Participated in the overall DyDAn proposal writing. o Organizer of the DyDAn Seminar series, 2007.
o Organizer of DIMACS Computational and Mathematics Epidemiology Seminar series, 2006-2007.
o Program Co-Chair (with G. Cormode) of DIMACS Tutorial on Data Mining and Epidemiology, March 23-24, 2006.
o Program Chair of the First DIMACS Workshop on Data Mining and Epidemiology, March 18-19, 2004.
o Conceived, Designed and made operational a software platform for Query Relevance Algorithms Research. Interviewed, hired and supervised the required technical personal, Ask.com, 2004-2006.
o Member of the Editorial Board of the Journal on Discrete Algorithms, Elsevier Publishers, 2002-present. o Program Chair of the First AT&T Visualization Days, May 30, 2001.
o Program Co-Chair (with J. Vitter) of the First DIMACS Workshop on External Memory Algorithms and Visualization, May 20-22, 1998.
o Co-Editor of the Massive Computing Series, Kluwer Academic Publishers, 1998-present. o Associate Managing Editor of the Journal on Computing and Information, Canada, 1994-1998.
o Algorithms Group Leader. In charge of recruiting, interviewing, evaluating and recommending faculty candidates. Founder and director of the Laboratory for Algorithms Design, Texas A&M University, 1990-1994. · Current areas of research center on External Memory Algorithms, Data Graph Mining, Relational Learning and Visualization of Massive Data Sets. Typical examples of data we have dealt with include information networks like The Web, Query co-occurrence, Internet, Wireless Call Detail and Epidemiological data. Our research has been funded mainly by NSF, DHS, USDA and LLNL. · Previous research focus included Computational Geometry, Combinatorics and Complexity, Algorithm Animation and some applications in Petroleum Engineering and Biology. · Any Commerical or Industrial application is driven by data generated by a set of computational agents could benefit from my expertise in Targeted Search Engines, Time Variying Graph Mining Systems, Visualization Tools for Social Media Tracking, and Web Information Spaces Design. Conceived, designed and supervised the software projects listed below. Responsibilities included proposal writing, identification of necessary skills for involved personal, hiring, supervision, preparation of periodic progress reports, testing, evaluation, deployment and publication of associated research papers. · An External Memory Algorithms Platform (on going project). The goal is to provide the basis for a system to "mine" dynamic weighted graphs with several billion edges. This platform has been built as the initial infrastructure for the Universal Information Graphs projects which is being conducted at DyDAnthe new funded DHS center of excellence at Rutgers University. Four of its major components are: HGV, Graph-Zoom, MGV, and a Quasi-Clique Extractor.Each of these components is described briefly next. o Hierarchical Graph Views.. A C/C++ library to compute nested partitions of semi-external graphs. It incorporates a variety of recursive graph partitioning and Markov clustering methods (in cooperation with Roman Dementiev and Ali E. Qursh ). o Graph-Zoom. A Unix/Windows prototype to navigate large graphs. It is based on a hierarchy of spanning trees. It incorporates a rectangular Fish-Eye view technique to provide focus within context. It uses our own circular layout of graph hierarchies (in cooperation with J. Korn and M. Kreuseler). o MGV. Uses semi-external memory algorithms to build hierarchical partitions of weighted multi-digraphs. These partitions are mapped to the screen. They provide a virtual geography for the input stream. This virtual geography is used to guide the exploration of the data set. MGV follows the client-server paradigm and it is implemented in C and Java 3D. (In cooperation with J. Korn. US patent 6781599), 2001.
o Quasi-Clique Extractor. Extracts subgraphs with density above certain pre-specified threshold (quasi-cliques) and uses these subgraphs as seeds to partition the vertex set(in cooperation with S. Sudarsky). The extractor is implemented in C. Some of this work has been cited in popular writings like: American Scientist (Graph Theory in Practice, Sept-Oct 2006, Jan-Feb 2000) and Siam News (1999). · A Template to Implement Mathematical Software following the Interpretive Frame Approach; Mathematics Department, University of California, San Diego, 1984. A possible way to describe the current stage of my career is that of an experimental computer scientist with a solid theoretical foundation. During the past two decades I became fascinated by the fundamental questions that have been arising from the exploration of very large data sets, (for us a data set is very large if it does not fit on the available RAM). A variety of massive data sets exhibit an underlying structure that can be modeled as dynamic weighted multi-digraphs with a collection of edge dependent attributes that are application dependent (Web Queries Co-occurrence, Internet data and Telecommunications traffic are prime examples). When a multi-digraph does not fit in RAM many of the classical algorithms break down. Operations that we usually take for granted, like graph traversing, get wretched when they are faced with the I/O bottleneck. Even though cluster of PC's or enough Parallel I/O are currently used to alleviate this problem, the truth of the matter is that these are just temporal solutions. Behind the scenes, there are fundamental computational questions that are reminiscent of the challenges faced by early computing pioneers. From my view point, sequential media is outgrowing random access storage at a speed and cost that makes imperative to approach the problem of massive data sets as a massive distributed network computing problem instead of using variations of Von Newman architectures that are handicapped by their inherent bottlenecks. This is an area with great potential if we can built off the shelf cost effective computing platforms for large data analysis research. My confidence for pursuing this area comes in part as a result of 20 years of experience in developing and implementing techniques to process, navigate, analyze and visualize multi-digraphs, arising from the web and the telecommunications industry. The corresponding data sets sizes range from million to several billion edges (please see our contributions to this area in the publication summary). One of the clear messages we have learned is that RAM and processor investments alone are not able to keep up with the data generation ability of the computing and communication devices that are becoming so common in our daily endeavors. · Data Streams, In light of the previous discussion, another research direction revolves around algorithms and architectures that operate on sets of data streams each of which is accessible only through a small random access window. These architectures shall be flexible enough to be able to incorporate in their processor network special agents that interact with the external world on a semi-continuous fashion. Some of the technological tools necessary for this undertaking include mobile Internet-able devices, a fast local interconnection network, a PC cluster, a basic visualization platform, I/O libraries, languages and system performance tools and web server technology. The theoretical tools with potential applicability are rooted in circuit and communication complexity, random graph theory, combinatorics, game theory, optimization, distributed and succinct data structures, probability, statistics, algebraic topology and dynamical systems. This type of research calls for a highly interdisciplinary team and a large portion of the necessary hardware and software is readily available. There is a plethora of large driven data applications that will benefit from this undertaking. I would like to contribute to the design and development of cost effective hardware/software platforms that facilitate access, navigation, visualization, analysis and sensemaking of “very large” data sets. · Visual Metaphors, Another major topic of my research vision emphasizes the creation of computational efficient visual metaphors for the representation, navigation and analysis of very large data sets. The rational is that these metaphors shall be useful not only for the experimentation stages of some of the research topics described above but they shall also become useful for the analysis of data associated with the organization where the research is undertaken. · Applied Computational Geometry, Combinatorial Geometry has become a quite relevant tool for some problems in visualization and computer graphics. 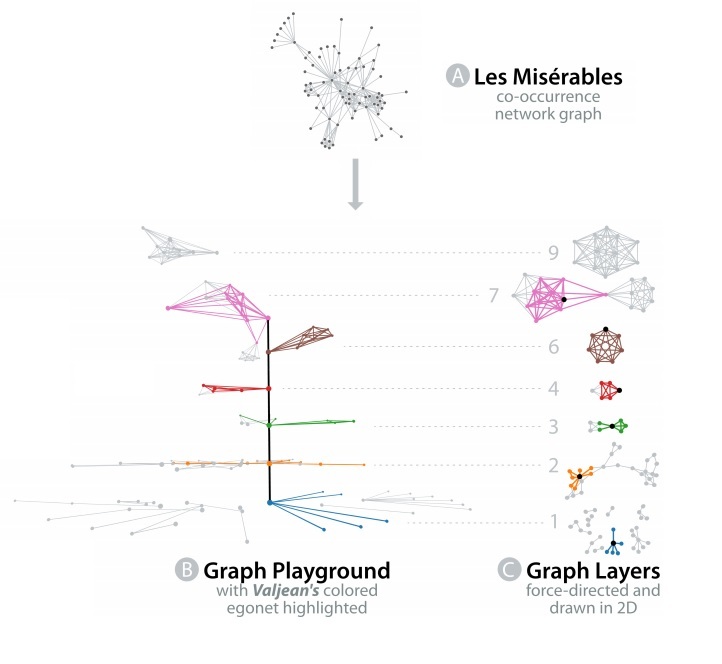 These include visibility representations of graphs and partially ordered sets; interactive rendering of polygonal terrains and volumetric data sets arising in finance, health care, and medicine. ACM, AMS, EACTS, ICA, IEEE, MAA, SIAM. · Outstanding Teaching Award, University of California, Santa Barbara, 1983. I have been the recipient of several teaching awards at different levels in the educational system. During my undergraduate studies in Mathematics and Physics, I pursued a specialization in Pedagogy. Arguably, the fast pace of technological and economical developments is causing an erosion on the foundation of several scientific disciplines. Our era offers a golden opportunity for Computer Science, Mathematics, Physics, Engineering, Biology and the Social Sciences to nurture each other in a positive way. There is the need to develop programs that are driven by a hierarchy of interdisciplinary computational challenges that students complete during their education. In the next paragraph, I describe an example of such an approach. With funds provided by two educational grants, I founded and directed a Laboratory for Algorithms Design. One of its central objectives was to develop educational software to support some classes in the undergraduate curriculum. Unix tools were developed to enhance some fundamental notions that included Turing Machines, Graph Algorithms, the Symmetric Group, Concurrency control and a host of Local Heuristics. A central project in this regard was a client-server system named "AGE: An Animated Graph Environment". 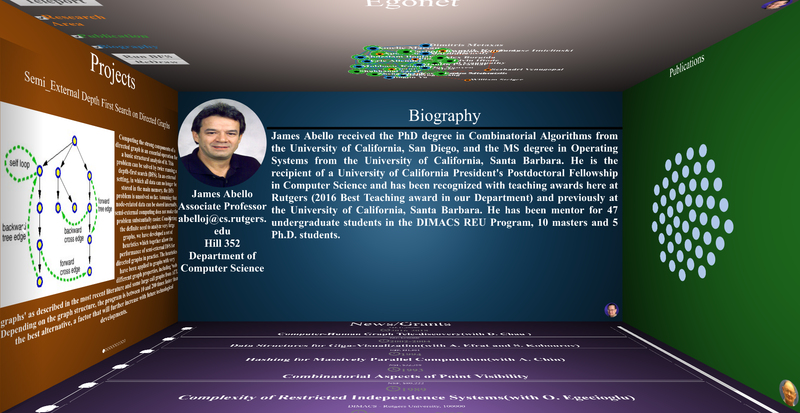 It provided the basis of an interactive system for algorithms teaching and student research. In total 43 applications were based on this system. It is worth to point out that all these applications were developed by students that were using AGE as a supporting tool for their classes. This illustrates a possible direction to provide technological training with a solid theoretical backing.Â I believe that knowledge transfer must be structured conceptually; its delivery fun, amusing and entertaining, and its computational experimentation sound and rigorous. 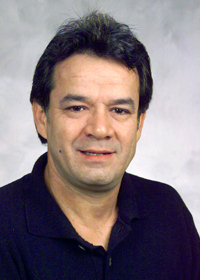 James Abello has taught Computer Programming, Software Fabrication, Operating Systems, Scientific Computing, Discrete Mathematics, Data Structures, Analysis of Algorithms (Sequential, Parallel and Distributed), Formal Languages, Computability, Complexity Theory, Combinatorial Optimization, Operations Research, Calculus, Linear Algebra, and Numerical Analysis, both at the undergraduate and graduate levels. Java, Web Based Computing, Information Visualization, Data Interaction, Visual Analytics and Massive Data Mining are his current teaching interests. [AMS18] J. Abello, D. Mawhirter, Kevin Sun, "Taming a Graph Hairball: Local Exploration in a Global Context", Invited Chapter to appear in New Ideas in Business and Consumer Analytics, P. Moscato and N. Devries, Editors, Springer Verlag, 2018. [ADHSS16] J. Abello, D. Desimone, S. Hadlak, H. Schulz, M. Sumida, "Visualizing Life in a Graph Stream", in Big Data of Complex Networks, Ed. By M. Dehmer, F. Emmert-Streib, S. Pickl, and A. Holzinger, pp 293-312, Chapman and Hall/CRC, 2016. [AAKKMMMT14] J. Abello, D. Archambault, J. Kennedy, S. Kobourov, K.-L. Ma, S. Miksch, C. Muelder, A.C. Telea, "Temporal Multivariate Networks", in Multivariate Network Visualization, Ed. by A. Kerren, H. Purchase, and M. Ward, LNCS 8380, Springer Verlag (2014) 151-169. [ACP12] J. Abello, M. Chen, N. Parikh, "Time Discrepant Shipments in Manifest Data", in Handbook of Operations Research for Homeland Security, J. Herrmann (ed. ), Springer Verlag, 2012. [AP06] J. Abello and A. Pogel, "Graph Partitions and Concept Lattices", In Discrete Methods in Epidemiology, vol. 70 of the AMS-DIMACS Series, Co-edited by J. Abello and G. Cormode, pp 115 - 138, 2006. [ACFMMM06] J. Abello, G. Cormode, D. Fradkin, D. Madigan, O. Melnik and I. Muchnik, "Selected Data Mining Concepts, In Discrete Methods in Epidemiology", vol. 70 of the AMS-DIMACS Series, Co-edited by J. Abello and G. Cormode, pp 1- 40, 2006. [AC06] J. Abello and M. Capalbo, "Random Graphs (and the Spread of Infections in a Social Network)", In Discrete Methods in Epidemiology, Vol. 70 of the AMS-DIMACS Series, Co-edited by J. Abello and G. Cormode, pp 115 - 138, 2006. [APR99] J. Abello, P. Pardalos, M. Resende, "On Very Large Maximum Clique Problems, in External Memory Algorithms, (J. Abello and J. Vitter, Editors), AMS-DIMACS Series in Discrete Mathematics and Theoretical Computer Science, Vol. 50, pp 119-130, 1999. [ASVW94] J. Abello, S. Sudarsky, T. Veatch, J. Waller, "AGE: An Animated Graph Environment" , in AMS-DIMACS series in Discrete Mathematics and Theoretical Computer Science, N. Dean and G. Shannon (Eds. ), vol. 15, pp 57-69, 1994. [AKKV17] J. Abello, P. Klavik, J. Kratochvil, and T. Vyskocil, " MSOL Restricted Contractibility to Planar Graphs", Accepted for publication in Theoretical Computer Science, in print, 2017. [AQ14] J. Abello, F. Quelroy, "Network decomposition into fixed points of degree peeling", Social Network Analysis and Mining, Dec. 2014, 4:191. [AHSS14] J. Abello, S. Hadlak, H. Schumann, H. Schulz, "A Modular Degree-of-Interest Specification for the Visual Analysis of Large Dynamic Networks", IEEE Transactions in Visualization and Computer Graphics, 12 , 2014. [ABT12] J. Abello,P. Broadwell,T. Tangherlini, "Computational Folkloristics", Communications of the ACM, (2012). [ATS08] J. Abello, C. Tominski, H. Schumann, "CGV: An Interactive Graph Visualization System”,", in Computers & Graphics 33.6 (2009): 660-678. [A04] J. Abello, "The Majority Rule and Combinatorial Geometry (via the Symmetric Group)", Annales Du Lamsade, No. 3, pp 1- 13, October 2004. [A04] J. Abello, "Hierarchical Graph Maps", Computers & Graphics 28(3): 345-359 (2004). [APM04] J. Abello, Alex J. Pogel, Lance Miller, "Breadth First Search Graph Partitions and Concept Lattices", J. UCS 10(8): 934 -954 (2004). [AK02] J. Abello, J. Korn, "MGV: A System for Visualizing Massive Multidigraphs" , IEEE Transactions on Visualization and Computer Graphics, Vol. 8, No 1, January-March 2002. [AK02] J. Abello, K. Kumar, "Visibility Graphs and Oriented Matroids", Discrete and Computational Geometry, vol. 28, pp. 449-465, 2002. [ABW02]* J. Abello, Adam L. Buchsbaum, Jeffery Westbrook, "A Functional Approach to External Graph Algorithms" , Algorithmica 32(3): 437-458 (2002). 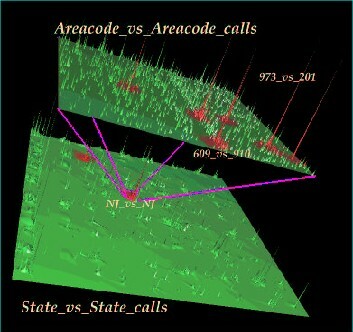 Description: New Link between Visibility Representations of Data and Graph Synthesis on the Plane, 2002. [ABPR01] J. Abello, S. Butenko, P. Pardalos, and M. Resende, "Finding Independent Sets in a Graph Using Continuous Multivariable Polynomial Formulations" , Journal of Global Optimization, Vol. 21, pp. 111-137, 2001. [AK99] J. Abello, S. Krishnan, "Navigating Graph Surfaces" , 4th Intl. Congress on Industrial and Applied Mathematics (ICIAM), Edinburg, July 1999; Approximation and Complexity in Numerical Optimization: Continuous and Discrete Problems, (P. M. Pardalos, editor), Kluwer Academic Publishers, pp. 1-12, 1999. [AKGN99] J. Abello, E. Koutsofios, E. Gansner and S. North, "Large-Scale Network Visualization" , Computer Graphics, SIGGRAPH Newsletter, Vol. 33, Number 3, August 1999, pp. 13-15. [ACSU98] J. Abello, V. E. Castro, T. Shermer, J. Urrutia, "Illumination of Orthogonal Polygons with Orthogonal Floodlights, International Journal on Computational Geometry and Applications, vol. 8, No 1, pp 25-38, 1998. [AD97] J. Abello, S. Dolev, "On the Computational Power of Self-Stabilizing Systems", Theoretical Computer Science, Vol. 182, No 1-2, pp. 159-170, August 1997. [AE95] J. Abello, O. Egecioglu, K. Kumar, "Visibility Graphs of Staircase Polygons and the Weak Bruhat Order I: From Visibility Graphs to Maximal Chains" , Discrete and Computational Geometry, Vol. 14, No 3, 1995, pp 331-358. [AEK95] J. Abello and K. Kumar, "On the Complexity of some Synthetic Problems in Computational Geometry, J. Computing and Information, pp. 92-110, 1995. [AS94] J. Abello, C. Smith, "An Interpreted Algorithm Animation System", Journal on Computing and Information, pp 1569-1588, 1994. [AE93] J. Abello, O. Egecioglu, "Visibility Graphs of Staircase Polygons with Uniform Step Length", Intl. Journal of Computational Geometry and Applications, Vol. 3, No.1, 1993, pp. 27-37. [AHR93] J. Abello, A. Hoang, and J. Russell, ``A Hierarchy of Pattern Recognition Algorithms for the Diagnosis of Sucker Rod Pumped Wells'', J. Computing and Information, pp. 359-364, IEEE, Ontario, May 1993. [AH92] J. Abello, L. Hua, and S. Pisupati, "On Visibility Graphs of Simple Polygons", Congressus Numerantium, Vol. 90, pp. 119-128, 1992. [A91] J. Abello, "The Weak Bruhat Order, Consistent Sets and Catalan Numbers", SIAM Journal on Discrete Mathematics,4(1), pp 1-16, February 1991. [AFS91] J. Abello, M. Fellows, J. Stillwell, "On the Complexity and Combinatorics of Covering Finite Complexes", Australasian Journal of Combinatorics, Vol. 4, 1991. [A86] J. Abello, "Algorithms for Consistent Sets, Congressus Numerantium, Vol. 53, pp. 23-38, 1986. [A85] J. Abello, "Intrinsic Limitations of the Majority Rule, an Algorithmic Approach", SIAM J. Alg.Disc. Meth., 6(1), pp 133-144, January 1985. [AJ84] J. Abello, C. Johnson, "How Large are Transitive Simple Majority Domains, SIAM J. Alg. Disc. Meth., 5(4), pp 603-618, 1984. [TA15] B. Thompson, J. Abello, "Efficient and Time Scale-Invariant Detection of Correlated Activity in Communication Networks", 2015 IEEE International Conference on Data Mining Workshop, Nov. 2015. [PAKC15] R. Pienta, J. Abello, M. Kahng, D. Horng Chau, "Scalable graph exploration and visualization: Sensemaking challenges and opportunities", in Big Data and Smart Computing (BigComp), 2015. [WABD15] T. Williams, J. Abello, J.F. Betak, D. Desimone, "Using Data Visualization to Analyze Grade Crossing Accidents", in Joint Rail Conference, 2015. [AQ13] J. Abello, F. Quelroy, "Fixed Points of Degree Peeling", Advances in Social Networks, IEEE/ACM International Conference, Niagara Falls, Canada, August 2013. [PKLVTAPC17] R. Pienta, M. Kahng, Z. Lin, J. Vreeken, P. Talukdar, J. Abello, G. Parameswaran, and DH. Chau, "Adaptive Local Exploration of Large Graphs", In: Proceedings of the SIAM International Conference on Data Mining (SDM), SIAM, 2017. [AKKV12] J. Abello, P. Klavik, J. Kratochvil , T. Vyskocil, "MSOL restricted contractibility to planar graphs", in IPEC'12 Proceedings of the 7th international conference on Parameterized and Exact Computation, pp. 194-205, Springer-Verlag Berlin, Heidelberg, 2012. [ADE10] J. Abello, N. Devanur, T. Eliassi Rad, "Detecting Novel Discrepancies in Communication Networks", ICDM 2010, The 10th International Conference on Data Mining, Sidney, Australia, 2010. [AGST07] J. Abello, B. Gaudin, H. Schulz and C. Tominski, "Name That Cluster", IEEE Information Visualization Symposium, Sacramento, CA, October 2007. [TA06] C. Tominski, J. Abello, F. van Ham, and H. Schumann, "Fisheye Tree Views and Lenses for Graph Visualization", In Proceedings of the Conference on Information Visualization, IV 2006, London, July 05 07, pp 17-25, 2006. [ACF06] J. Abello, G. Cormode, D. Fradkin, D. Madigan, O. Melnik and I. Muchnik, "Selected Data Mining Concepts, In Discrete Methods in Epidemiology", vol. 70 of the AMS-DIMACS Series, Co-edited by J. Abello and G. Cormode, pp 1- 40, 2006. [AH04] J. Abello and Frank van Ham, "Matrix Zoom: A Visual Interface to Semi-External Graphs", IEEE InfoVis Proceedings, pp 183 190, 2004. [TAS04] C. Tominski, James Abello and Heidrun Schumann: "Axes-based visualizations with radial layouts", Proceedings of the 19th ACM Symposium on Applied Computing, Nicosia, Cyprus, March 14-17, SAC 2004: 1242-1247. [AKY04] J. Abello, S. Kobourov, R. Yusufov, "Visualizing Large Graphs with Compound Fish Eye Views and Treemaps", Graph Drawing, 2004:431-441. [AK03] J. Abello, Yannis Kotidis, "Hierarchical Graph Indexing", CIKM 2003: 453-460. 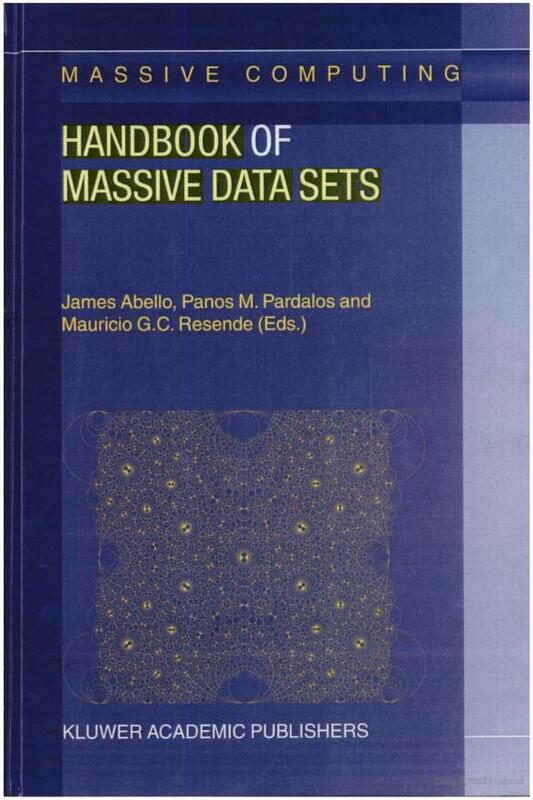 [ARS02] J. Abello, M. Resende, and S. Sudarsky, "Massive Quasi-Clique Detection" In Proceedings of Latinoamerican Informatics, May 2002, Springer Verlag LNCS. 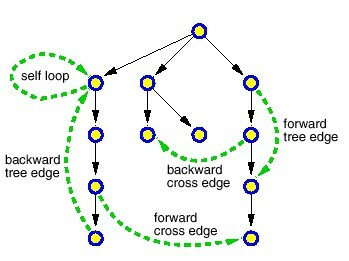 [SAM02] J. F. Sibeyn, J. Abello, U. Meyer, "Heuristics for Semi-External Depth First Search on Directed Graphs", ACM Symposium on Parallel Algorithms and Architectures, SPAA 2002: 282-292. [AKK02] J. Abello, J. Korn, and M. Kreuseler, "Navigating Giga-Graphs" , In ACM Proceedings of Advanced Visualization Interfaces (AVI), pp 290-299, Trento, Italy, 2002. [AFK01] J. Abello, I. Finocchi, and J. Korn, "Graph Sketches", In IEEE InfoVis Proceedings, pp 67-71, San Diego, Ca, October 2001. [AK00] J. Abello, J. Korn, "Visualizing Massive Multi-Digraphs", In IEEE InfoVis Proceedings, pp 39-48, Salk Lake City, Utah, October 2000. [AG98] J. Abello, E. Gansner, ``Short and Smooth Polygonal Paths'', LNCS vol. 1380, pp 151-162, 1998. [AK95] J. Abello, K. Kumar, "Visibility Graphs of 2-Spiral Polygons", LNCS vol. 911, pp.1-15, 1995. [AESU98] J. Abello, V. E. Castro, T. Shermer, J. Urrutia, "Illumination of Orthogonal Polygons with Orthogonal Floodlights, International Journal on Computational Geometry and Applications, vol. 8, No 1, pp 25-38, 1998. [AKNSY94] J. Abello, V. Kreinovich, H.T. Nguyen, S. Sudarsky, J. Yen, " Computing an Appropriate Control Strategy Based Only on a Given Plant's Rule-Based Model can be Hard. (NP-Hard), Proceedings of NAFIPS/IFIS/NASA 1994, pp. 331-332, San Antonio, December 18-21, 1994. [AKE93] J. Abello, K. Kumar, and O. Egecioglu, "A Combinatorial View of Visibility Graphs of Polygons" , IEEE Proceedings of International Conference on Computing and Information, 1993, pp. 87-92. [AHL92] J. Abello, L. Hua, and M. Lu, "An Efficient Parallel Algorithm for the Longest Common Subsequence Problem", LNCS, Springer Verlag, Vol. 4, 1992, pp. 123-130. [PLKVTTAPC15] R. Pienta, M. Kahng, Z. Lin, J. Vreeken, P. Talukdar, J. Abello, G. Parameswaran, and DH. Chau, "Adaptive Local Exploration of Large Graphs", In: Proceedings of the SIAM International Conference on Data Mining (SDM), SIAM, 2017. [AC07] J. Abello and M. Capalbo, "Finding Max Cliques in Power Law Graphs with high Clustering Coefficients", Submitted to Internet Mathematics. [AD07] J. Abello and R. Dementiev, "Semi-External Induced Subgraphs", under review. [ADQ08] J. Abello, R. Dementiev and A. E. Qursh, "HGV: A C/C++ library to generate Hierarchical Graph Views", in preparation. Description: Fisheye Tree Views and composite lenses were the first tools envisioned to provide users in an integrated manner overview+detail and focus+context exploration of “large” graphs visually depicted by nodes and links. Reference: in Proceedings of IEEE Information Visualization, pages 17-24, July 2006. [AR02] J. Abello, M. Resende, and S. Sudarsky, "Massive Quasi-Clique Detection" In Proceedings of Latinoamerican Informatics, May 2002, Springer Verlag LNCS. [JA91]* J. Abello, "The Weak Bruhat Order, Consistent Sets and Catalan Numbers", SIAM Journal on Discrete Mathematics,4(1), pp 1-16, February 1991. Description: Discovered a special type of Distributive Lattices that explain the relationship between Majority Rule as an Aggregation Method n Social Choice and the Symmetric Group of Permutations. These lattices are named now "Abello Lattices" or "Abello's Acyclic Sets". [JA85] J. Abello, "Intrinsic Limitations of the Majority Rule, an Algorithmic Approach", SIAM J. Alg.Disc. Meth., 6(1), pp 133-144, January 1985. · 2017 Interactive Data Exploration and Analytics, Knowledge Discovery and Data Mining Workshop, Halifax, Nova Scotia, August, 2017. · 6th International Conference on Data Science, Technology and Applications, Madrid, Spain, 2017. · 2016 IEEE International Conference on Big Data, Washington DC, USA, 2016. · Organizer of the DIMACS Seminar Series, 2007. · Organizer of DIMACS Computational and Matematics Epidemiology Series, 2006 - 2007. · Program Co-Chair (with G. Cormode) of DIMACS Tutorial on Data Mining and Epidemiology, 2006. · Chair of the First DIMACS Workshop on Data Mining and Epidemiology, 2004. · Program Chair of the First AT&T Visualization Days, May 30, 2001. Program Co-Chair (with J. Vitter) of the First DIMACS Waorkshop on External Memory Algorithms and Visualization, 1998. · A Computational View of Culture, IPAM Culture Analytics Workshop, UCLA, Lake Arrowhead, Dec 10-15, 2017. · Culture Analytics II, Interactive Minds Center, Aarhus University, Denmark, August 2017. · Calculus of Culture, Plenary Talk, Analytics Workshop, Nanning, China, March 22, 2017. · Dynamic Networks and Visual Analytics, Shonan Village Center (SVC, Japan: August 1-4, 2016. · Culture Analytics I: The Arrowhead Hilbert Like Problems, Institute of Pure and Applied Mathematics, University of California ( Los Angeles ), June 2016. · Hierarchical Graph Maps, IPAM Workshop on Multi Resolution Analysis, UCLA September 2008. · Massive Graph Mining, Computer Science Departments, University of Montpellier, France and the University of Rostock, Germany, 2006. Delivered a tutorial based on the subject at IPAM, Graduate Summer School: Intelligent Extraction of Information from Graphs and High Dimensional Data, UCLA, July 2005. · The Majority Rule and Combinatorial Geometry (via the Symmetric Group), Annales du Lamsade, Paris, 2004. · Workshop on Algorithms and Models for the Web-Graph, FOCS (Vancouver, Canada, November 2002) and Virtual Worlds and Simulation Conference, (San Antonio, TX, January 2002). · Massive Multi-Digraphs. Plenary Speaker at the Australian Conference in Optimization and Industry (Great Keppel Island, July 2001) and at the Ukrainian Academy of Sciences (Kiev, June 2000). Variations on the same subject constituted computer science colloquium talks at the University of Sidney(Australia, July 2001), University of California(Santa Barbara, October 2001), University of Arizona(Tucson, October 2001), University of Rostock(Germany, May 2002), Center for Communications Research(Princeton, June 2002), DIMACS Connect Institute(Piscataway, July 2002) and the CUNY Graduate Center(New York, Sept 2002). o Hashing for Massively Parallel Computation(with A. Chin), $31,804, 1994.
o Graph Fusion in External Memory, $100,000, DIMACS Rutgers University, Sept - Dec 2007.
o Leader of the Universal Information Graphs Project. A project of DyDAn - the newly created Center of Excellence for Dynamic Data Analysis, Rutgers University, 2007 - 2009. Robert Pienta, Adaptive Visual Network Analytics: Algorithms, Interfaces, and Systems for Exploration and Querying,PhD ,Computational Science and Engineering, Georgia Institute of Technology, USA, 2017. Francois Quelroy, Partitionnement de grands graphes : mesures, algorithmes et visualisation. (Graph Partitioning : measures, algorithms and visualization), Computer Science Department, University of Bordeaux, France, 2010. Hans- Jorg Schulz, Explorative Graph Visualization, Computer Science, University of Rostock, Germany, 2010. 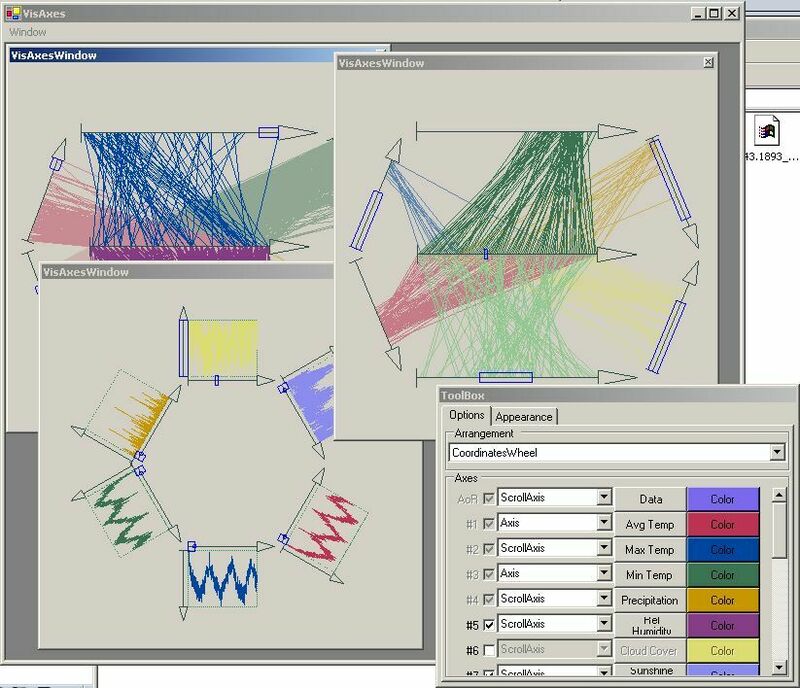 Christian Tominski, Event-Based Visualization for User-Centered Visual Analysis, PhD thesis, University of Rostock, Germany, 2006. 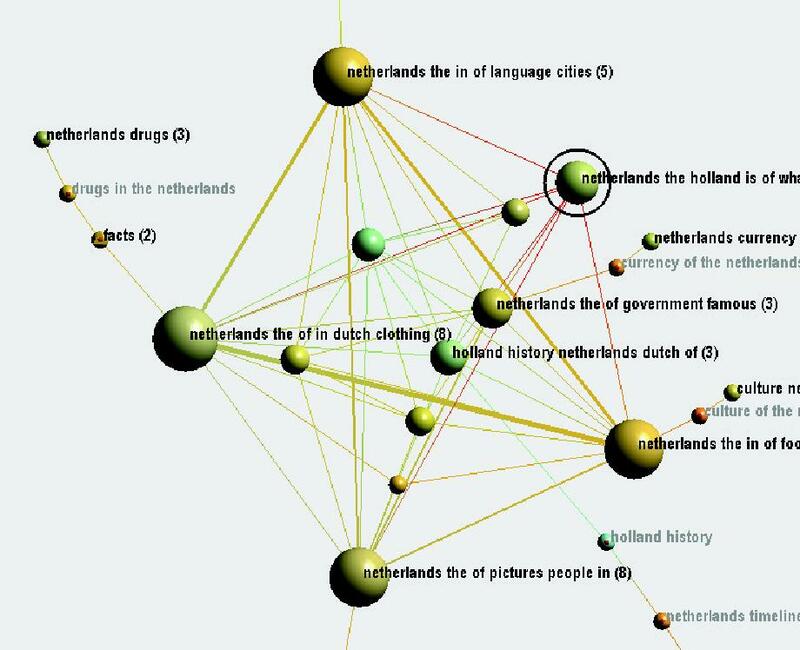 Frank van Ham, Interactive Visualization of Large State Spaces, PhD thesis, ISBN 90-386-0704-0, Technische Universiteit Eindhoven, 2005. Krishna Kumar, Combinatorial Aspects of Point Visibility, Computer Science Department, Texas A&M University, August 1993. Pritish Sahu, Cube Mazes , MSCS Thesis, May 2017. Pritish Sahu, Paper Nets , Outstanding MS Project Award, May 2017. Ana Echavarria Uribe, Graph Simplicial Complexes , WIP. 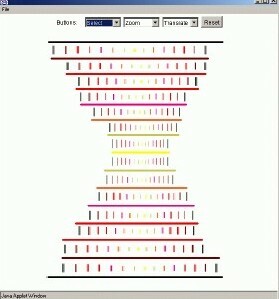 Craig Smith, A Graphics-based Language for Algorithm Animation, Computer Science Department, Texas A&M University, May 1994. Don Sonom, Visualization of Heuristics for Some NP-Complete Problems, Computer Science Department, Texas A&M University, December 1993. Chris Roda, An Animated Interface to the AGE System, Computer Science Department, Texas A&M University, August 1992. Anne Hwang, Pattern Matching for the Evaluation of Sucker-Rod Pumped Wells, Petroleum Engineering Department, Texas A&M University, September 1992 (Co-Chairman). Ronald Chambers, Heuristics for the Traveling Salesman Problem, Computer Science Department, Texas A&M University, December 1991. Sekhar Pisupati, Polynomial Algorithms for Visibility Graphs of Staircase Polygons, Computer Science Department, Texas A&M University, December 1991. Timothy Veach, An Animated Graph Environment, Computer Science Department, Texas A&M University, September 1990. Sanjay Joshi, Some Algorithmic Results in Graph Imbeddings, Computer Science Department, Texas A&M University, December 1990 (Co-Chairman). We use an iterative edge decomposition approach, derived from the popular iterative vertex peeling strategy, to globally split each vertex egonet (subgraph induced by a vertex and its neighbors) into a collection of edge-disjoint layers. 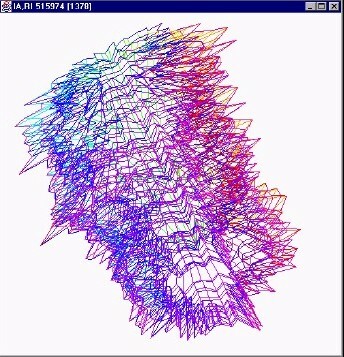 Each layer is an edge maximal induced subgraph of minimum degree k that determines the layer density. This edge decomposition is derived completely from the overall network topology, and since each vertex can appear in multiple layers, we can associate to each vertex a vector profile that can be used to identify its different “roles” across the network. This allows us to explore a network’s topology at different levels of granularity, e.g., per layer and across layers. This is only feasible by mapping simultaneously a vertex to a set of 3D coordinates (x, y, and z) where the third coordinate encodes the different layers a vertex belongs to. This is one of the few instances where 3D visualization enhances graph exploration and navigation in an arguably “natural” way: a graph now becomes a 3D graph playground where a vertex plays a certain “role” per layer that is determined by the overall network topology. Our approach helps disentangle “hairball” looking embeddings produced by conventional 2D graph drawings. 3D Exploration of Graph Layers via Vertex Cloning. James Abello, Fred Hohman and Duen Horng (Polo) Chau. Poster, IEEE Visual Analytics Science and Technology (VAST). Oct 1-6, 2017. Phoenix, USA. Data Visualisation and Analytics plays a key role in providing a complete view and discovering the global/local patterns hidden in the data. Conventional data visualization methods as well as the extension of some conventional method are very narrow in terms of the data type on which it is applicable. We present a novel way of visualising data which can be generalized to any kind of data format. Data Units Multi Digraph Model can encompass all varieties of data and will be able give global/local view unlike others where data is mapped to nodes in a graph or shown in charts. This research project is a novel way of representing abstract data on the facets of a cube. It involves visualization and navigation of abstract data mapped to the facets of a cube. Semi_External Depth First Search on Directed Graphs - with Jop F. Sibeyn and Ulrich Meyer. Computing the strong components of a directed graph is an essential operation for a basic structural analysis of it. This problem can be solved by twice running a depth-first search (DFS). In an external setting, in which all data can no longer be stored in the main memory, the DFS problem is unsolved so far. Assuming that node-related data can be stored internally, semi-external computing does not make the problem substantially easier. Considering the definite need to analyze very large graphs, we have developed a set of heuristics which together allow the performance of semi-external DFS for directed graphs in practice. The heuristics have been applied to graphs with very different graph properties, including "web graphs" as described in the most recent literature and some large call graphs from ATT. Depending on the graph structure, the program is between 10 and 200 times faster than the best alternative, a factor that will further increase with future technological developments. "Heuristics for Semi_External Depth First Search on Directed Graphs", Proceedings of the ACM Symposium on Parallel Algorithms and Architectures, SPAA'02, pp. 282-292, 2002. A Functional Approach to External Graph Algorithms - with A. Buschbaum and J. Westbrook. "A Functional Approach to External Graph Algorithms ", Algorithmica (2002) 32: 437-458. Quasi-Clique - with M. Resende and S. Sudarsky. We present an approach for clique and quasi-clique computations in very large multi-digraphs. We discuss graph decomposition schemes used to break up the problem into several pieces of manageable dimensions. A semiexternal greedy randomized adaptive search procedure (GRASP) for finding approximate solutions to the maximum clique problem and maximum quasiclique problem in very large sparse graphs is presented. "Massive Quasi-Cliques Detection ", in LATIN , LNCS 2286, pp. 598-612, Springer Verlag, 2002. Graph Surfaces - with Shankar Krishnan. A broad spectrum of massive data sets can be modeled as dynamic weighted multi-digraphs with sizes ranging from tens of gigabytes to petabytes. The sheer size of these data repositories brings with it interesting visualization and computational challenges. We introduce the notion of graph surfaces as a metaphor that allows the integration of visualization and computation over these data sets. By using out-ofcore algorithms we build a hierarchy of graph surfaces that represents a virtual geography for the data set. In order to provide the user with navigation control and interactive response, we incorporate a number of geometric techniques from 3D computer graphics like terrain triangulation and mesh simplification. We highlight the main algorithmic ideas behind the tools and formulate some novel mathematical problems that have surfaced along the way. "Graph Surfaces", In Approximation and Complexity in Numerical Optimization: Continuous and Discrete Problems(P. M. Pardalos, Editor), pp. 1-16, 1999, Kluwer Academic Publishers. GraphView - with F. van Ham and N. Krishnan. We describe ASK-GraphView, a node-link-based graph visualization system that allows clustering and interactive navigation of large graphs, ranging in size up to 16 million edges. The system uses a scalable architecture and a series of increasingly sophisticated clustering algorithms to construct a hierarchy on an arbitrary, weighted undirected input graph. By lowering the interactivity requirements we can scale to substantially bigger graphs. The user is allowed to navigate this hierarchy in a top down manner by interactively expanding individual clusters. ASK-GraphView also provides facilities for filtering and coloring, annotation and cluster labeling. Graph Axes - with C. Tominski and H. Schumann. We present two novel radial visual arrangements: the TimeWheel and the MultiComb. They are part of an interactive framework called VisAxes which can be used for multidimentional data browsing and analysis. Graph Sketches - with Irene Finocchi and Jeffrey L. Korn. We introduce the notion of Graph Sketches. They can be thought of as visual indices that guide the navigation of a multi-graph too large to fit on the available display. We adhere to the Visual Information-Seeking Mantra: Overview first, zoom and filter, then details on demand. Graph Sketches are incorporated into MGV, an integrated visualization and exploration system for massive multi-digraph navigation. We highlight the main algorithmic and visualization tasks behind the computation of Graph Sketches and illustrate several application scenarios. Graph Sketches will be used to guide the navigation of multi-digraphs defined on vertex sets with sizes ranging from 100 to 250 million vertices. MGV with Jeffrey L. Korn. MGV, an integrated visualization and exploration system for massive multidigraph navigation. It adheres to the Visual Information-Seeking Mantra: overview first, zoom and filter, then details on demand. MGV's only assumption is that the vertex set of the underlying digraph corresponds to the set of leaves of a predetermined tree $T$. MGV builds an out-of-core graph hierarchy and provides mechanisms to plug in arbitrary visual representations for each graph hierarchy slice. Navigation from one level to another of the hierarchy corresponds to the implementation of a drill-down interface. In order to provide the user with navigation control and interactive response, MGV incorporates a number of visualization techniques like interactive pixel-oriented 2D and 3D maps, statistical displays, color maps, multilinked views, and a zoomable label based interface. This makes the association of geographic information and graph data very natural. To automate the creation of the vertex set hierarchy for MGV, we use the notion of graph sketches. They can be thought of as visual indices that guide the navigation of a multigraph too large to fit on the available display. MGV follows the client-server paradigm and it is implemented in C and Java-3D. We highlight the main algorithmic and visualization techniques behind the tools and, along the way, point out several possible application scenarios. Our techniques are being applied to multigraphs defined on vertex sets with sizes ranging from 100 million to 250 million vertices. Visualizing Massive Multi-Digraphs - with Jeffrey Korn. MGV is an integrated visualization and exploration system for massive multi-digraph navigation. MGV's only assumption is that the vertex set of the underlying digraph corresponds to the set of leaves of a predetermined tree T. MGV builds an out-of-core graph hierarchy and provides mechanisms to plug in arbitrary visual representations for each graph hierarchy slice. Navigation from one level to another of the hierarchy corresponds to the implementation of a drill-down interface. In order to provide the user with navigation control and interactive response, MGV incorporates a number of visualization techniques like interactive pixel-oriented 2D and 3D maps, statistical displays, multi-linked views, and a zoomable label based interface. This makes the association of geographic information and graph data very natural. MGV follows the client-server paradigm and it is implemented in C and Java-3D. We highlight the main algorithmic and visualization techniques behind the tools and point out along the way several possible application scenarios. Our techniques are being applied to multi-graphs defined on vertex sets with sizes ranging from 100 million to 250 million vertices. Large-Scale Network Visualization - with E. Koutsofios, E. Gansner and S. North. A multi-disciplinary project investigating visualization and analysis for AT&T’s network and service businesses. DISCLAIMER : The Copyrights of the publications reside with the corresponding publishers.